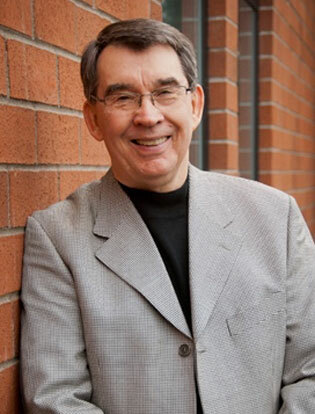 The Final Word is a daily Bible teaching radio program from Pastor Jim Andrews of Lake Bible Church, in Lake Oswego, Oregon. It currently airs in Portland, Oregon, and Pittsburgh, Pennsylvania. However, we hear from listeners all over the world who listen in via our web site. Pastor Jim typically teaches through the books of the Bible in an expositional style. Past messages are available in the podcast archive. We encourage our listeners to take advantage of this extensive reference as they endeavor to understand and apply Scripture to their daily lives. Pastor Jim has over fifty years in Christian ministry: tweny-one as a teacher in Bible college and seminary and over thirty years as a pastor and Bible teacher. As he himself describes his preaching philosophy, he strives in his teaching “to herd biblical truth and the issues of life into violent collision at the intersections of the mind and heart.” He models that old adage that sees the preacher’s job as “comforting the afflicted and afflicting the comfortable." His ministry resonates most with people “who are seeking to look up, to study God, to know Him, to understand His ways and His will and then to do it." Pastor Jim can be reached at Lake Bible Church at 503-699-9840, ext: 202. His e-mail address is: jimandrews@thefinalwordradio.com. For general information, requests, or questions, please e-mail us at info@thefinalwordradio.com. To sustain and expand this ministry requires a partnership of vision such as inspired the Apostle Paul to commend the Philippians for their “participation in the gospel from the first day until now.” He preached wherever he could; they provided all they could. Together all were partners in the eternal outcome. Your contributions are tax deductible. 100% of your gift goes to broadcasting costs and program-related expenses (such as equipment, editing, etc.). Jim Andrews receives no portion of your contribution. We thank you for your support and covet your prayers for this ministry. The physical resurrection and ultimate glorification of His people. Copyright © 2012-2019 Truth Encounters. All rights reserved.